This will be very useful to me. Thank you. 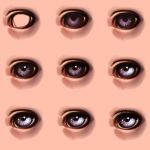 I recreated some of these eyes on my page because they were so beautiful I had to take up the opportunity to. Nice work with the eyes. very beautiful eyes, I can't stop looking at these. ugh this helped me so much thanks! The 3rd one is derp XD anyways, pretty cool! please submit this to the right category if you are gonna call this a tutorial. Designs and interfaces is not the tutorial category. Wow! 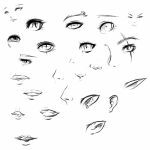 Your ability to draw eyes amazes me! I love them all! Thanx for making these! I love them! Nice! These are great to look at, for getting different emotions with the lines. Really pretty eyes! I wouldn't call it a tutorial actually, you should call them resources or examples. agree. No instruction whatsoever. Definitely only examples or references.